ALBANY, NY (WSKG) – Gov. Andrew Cuomo has signed the Child Victims Act, which gives survivors of childhood sexual abuse more access to pursue their abusers in court. The bill had languished at the Capitol for years until Democrats took control of the state Senate from Republicans and joined the Assembly in approving the measure. It extends the statute of limitations to report crimes of childhood sexual abuse from 23 to 28. The limit for civil suits is age 55. All survivors get a one-year “lookback” window to bring civil court cases against those they say abused them. 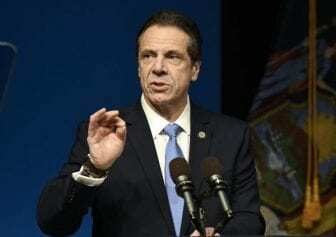 Cuomo signed the measure in the newsroom of the New York Daily News, which he credited for championing the issue. Assembly sponsor Linda Rosenthal told victims gathered for the event that they’ve achieved a milestone, but there’s more ahead — going to court to seek justice.